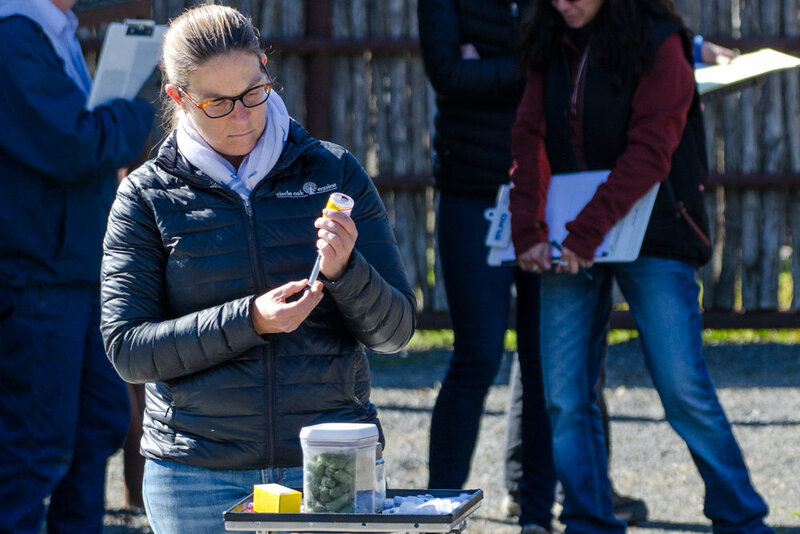 To provide clinically relevant and accurate diagnostic imaging interpretation from an equine specialist in a friendly, interactive and timely fashion, facilitating the highest quality of care for your equine patients. Why would your horse(s) images be read by an Equine Radiologist and what is the process when that occurs? The following is meant to help you, the horse owner or trainer, understand the relationship between your veterinarian, us (the radiologists) and you as we all work together to provide the best care possible for your horse. Your regular veterinarian has evaluated your horse based on the presenting complaint. Based on clinical signs and findings, your veterinarian has performed diagnostic imaging (one or more different modalities may be utilized). Your veterinarian has evaluated the images themself and at this point believes that the expertise of an equine radiologist would be helpful. Your veterinarian submits the images and clinical history to the radiologist for interpretation. 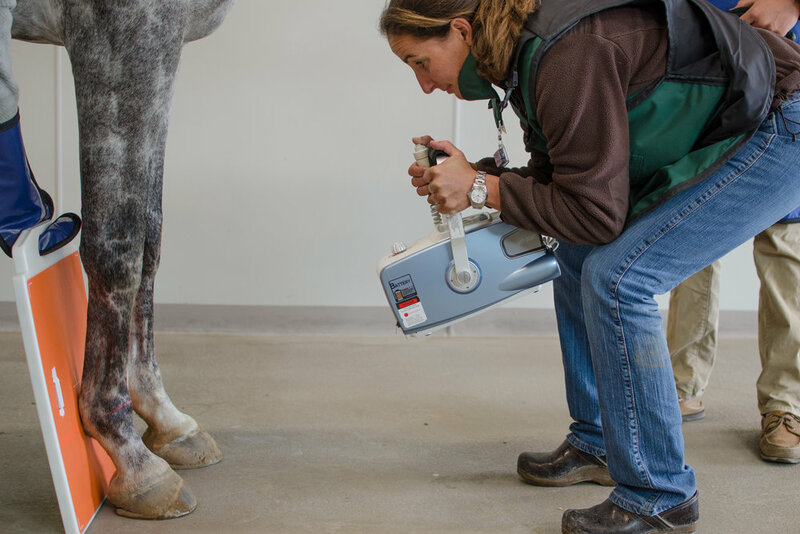 Your veterinarian can now correlate the imaging findings with his/her clinical exam and has the information needed to make the best decision regarding course of action/treatment for your horse. 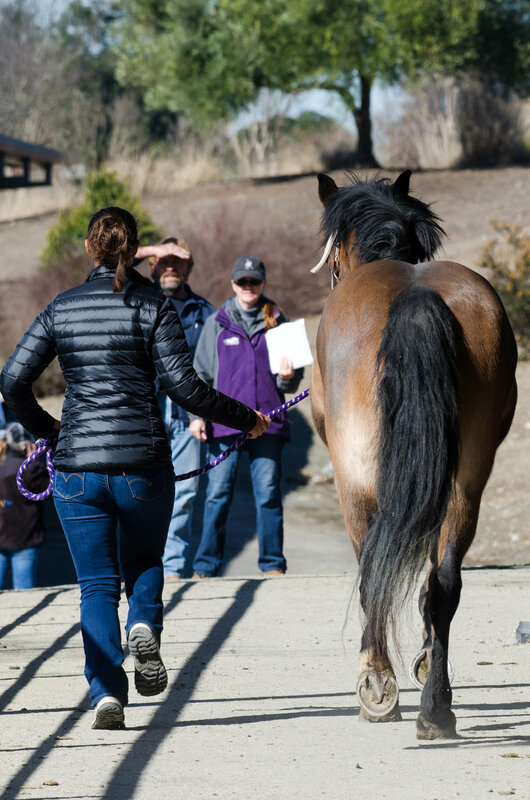 Since your veterinarian was able to make well informed and educated decisions regarding your horse's treatment, you and your veterinarian have now given your horse the best chance at a full recovery. The end result, and shared goal of all involved has now been fulfilled with the horse receiving the highest level of care and hopefully returning to their beloved job. Q If I want my horse's images interpreted by a radiologist, how do I do that? A Please discuss this with your veterinarian who performed the workup and imaging on your horse. Your veterinarian will then contact us and submit the images for interpretation. Q My veterinarian has sent me my horse's report, but I do not understand it. Should I contact you to get an explanation? A Please contact your veterinarian to discuss or ask any questions regarding your horse's report. Your veterinarian will correlate the imaging findings to his/her exam and will be able to explain their clinical relevance. We are always available to answer any questions that you or your veterinarian may have regarding the report.